Building a game is a lot like making art. I decided to shift the class schedule back a week so that we can book our "Game Day" into a larger meeting room. That way we can have a catered lunch and invite some people to play with us. 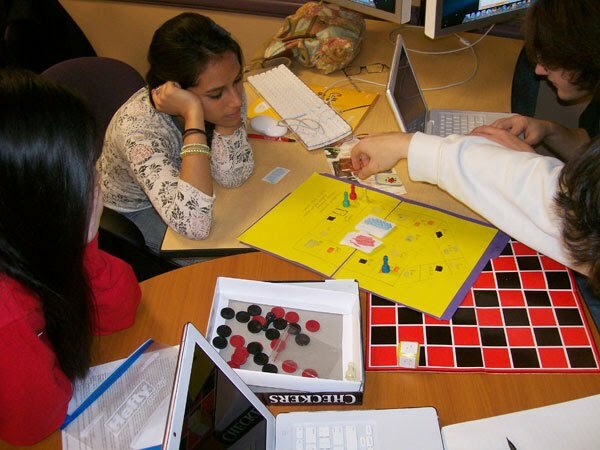 On "Game Day," teams will bring their invented games to play, and each student will bring an unusual game to share to help broaden our knowledge of games. We should end up with nearly 30 games to look at and try out. I urged students to use the extra time to make their games as nice as possible so that they will present well to others. I suggested that some try using Adobe Photoshop to design their game boards, and I demonstrated how easy it is to set up a simple checker board, for example. 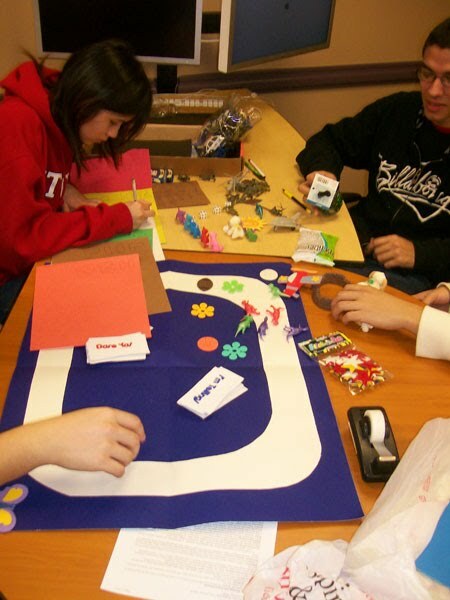 But most students were enjoying the hands-on experience of "arts and crafts" game design. 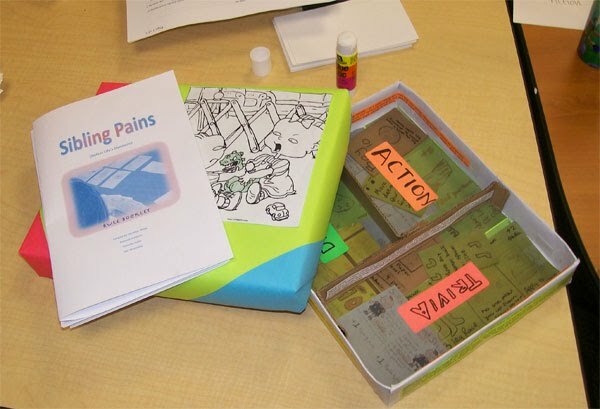 Some took the time to create attractive boxes for their games. 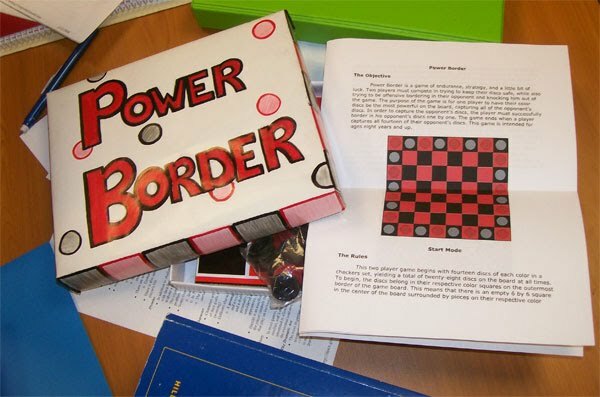 The 8x8 checkers game "Power Border"
instructions on the box so they don't get lost. Others took the time to make sure that their games were fully playable and fun. Because if it's not fun, you'll be graded down! Next time, we will exchange games and do a "peer review." Basically, teams will switch tables and try each other's games, based purely on the set of instructions and the playing board or cards offered to them. We'll see how many puzzled expressions we get -- or how many students who exclaim "Cool!"